Supportive and stylish, the VapoDri 2-in-1 Vest is ideal for workouts of all kind. Manufactured from a mix of 90% polyester and 10% spandex for both comfort and stretch. Get the most out of your workouts with this comfortable, and supportive, 2-in-1 training top. 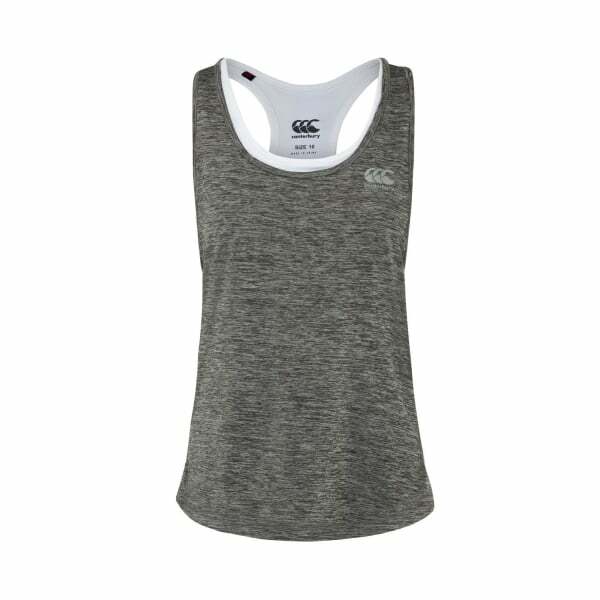 The crop top underneath provides maximum support, while the singlet overlay is comfortable and stylish. The garment also includes Canterbury’s leading VapoDri technology; it absorbs sweat off the body quickly and then efficiently evaporates it, with the end effect being your body remains cooler and more comfortable. The combo top has been designed to the contours of the woman’s figure, which means it’s both a comfortable fit and it won’t inhibit your natural range of motion. Constructed of a mix of 90% polyester and 10% spandex for flexibility and durability.